Introducing the Garden Groom family, a range of four products with all the unique features of the original Garden Groom. 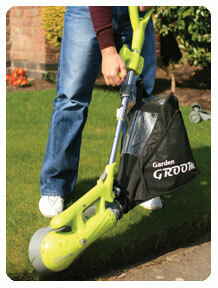 Light/Medium duty collecting hedge trimmer. The Garden Groom has a unique collecting system which makes the chore of hedge trimming far simpler. 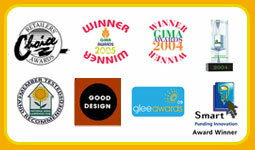 As you cut, none of the waste is left on the floor, thus saving you time and effort. This once laborious task now enables you to spend more time enjoying your garden instead of working in it! The shredding action reduces the waste by 10:1, making disposal of the clippings far easier. 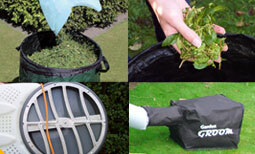 The shredded clippings are also ideal for mulch or composting. 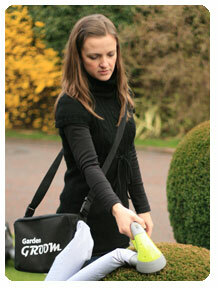 Garden Groom is the world's only collecting hedge trimmer that has a concealed blade. This feature virtually eliminates the risk of cutting the mains cable and significantly reduces the danger of personal injury. 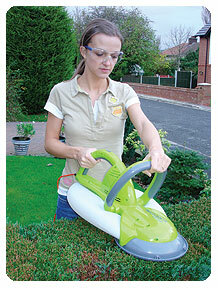 Consequently, this eliminates the fear factor that many gardeners face when using a conventional hedge trimmer. A volume collection bag is provided for work on larger hedge runs. It holds 10 times more waste than the onboard container, significantly reducing the emptying frequency. The shredding action reduces the clippings by 10:1, therefore reducing the number of refuse bags required to dispose of the waste. The clippings are ideal as mulch or for composting. Clippings from conventional hedge trimmers usually cannot be used due to the length of time it takes for them to decompose. 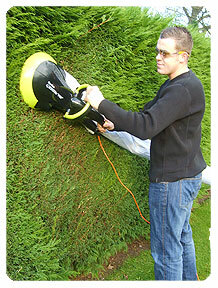 The Garden Groom promotes an overall healthier hedge as the dead waste is not left in the hedge.